As three women are drawn together in the hope of restoring Micheál, their world of folklore and belief, of ritual and stories, tightens around them. It will lead them down a dangerous path, and force them to question everything they have ever known. 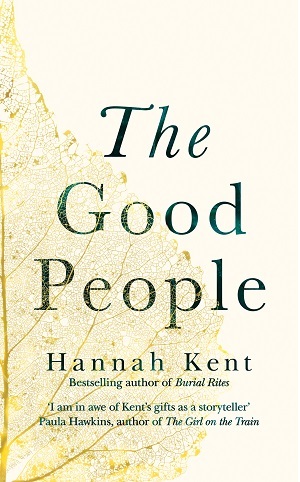 Based on true events and set in a lost world bound by its own laws, The Good People is Hannah Kent’s startling new novel about absolute belief and devoted love. Terrifying, thrilling and moving in equal measure, this long-awaited follow-up to Burial Rites shows an author at the height of her powers.